Q: How many car salesmen does it take to change a light bulb? A: I’m just going to work this out on my calculator, and I think you’re going to be pleasantly surprised. Q: How many bureaucrats does it take to change a light bulb? A: Two; one to assure us that everything possible is being done while the other screws the bulb into a water faucet. 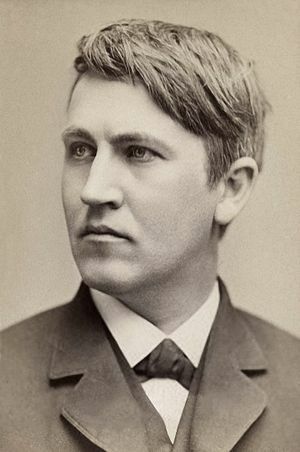 Thomas Edison spent years trying to invent the electric light, testing and retesting. Finally, late one night, he got the bulb to glow. He ran out of his laboratory, through the house, up the stairs to his bedroom. This entry was posted in Fun and Games and tagged light bulb moment, Thomas Edison. Sufficient caregiver training: vulnerable adults deserve nothing less. Long Term Care Insurance scares me.